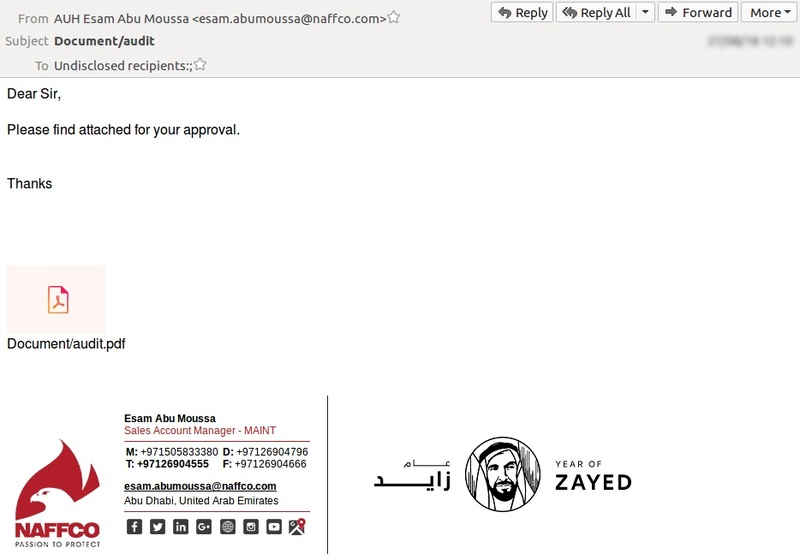 MailGuard has intercepted the email shown above, which purports to be from a company in the UAE called Naffco. 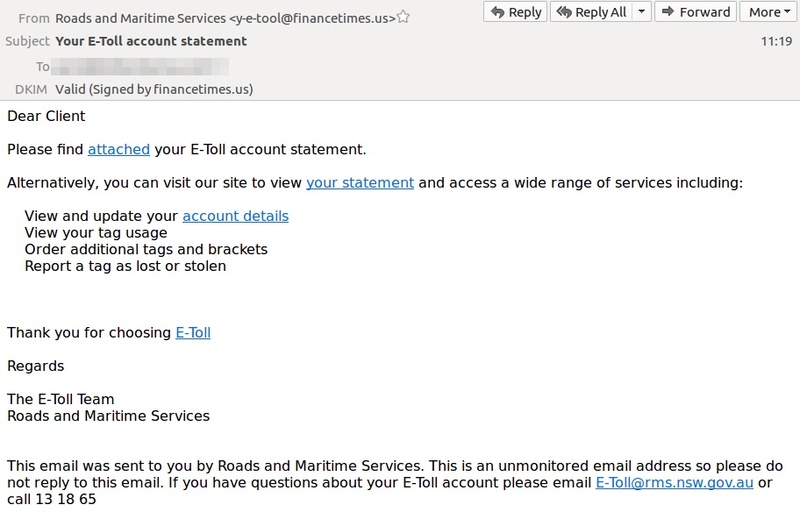 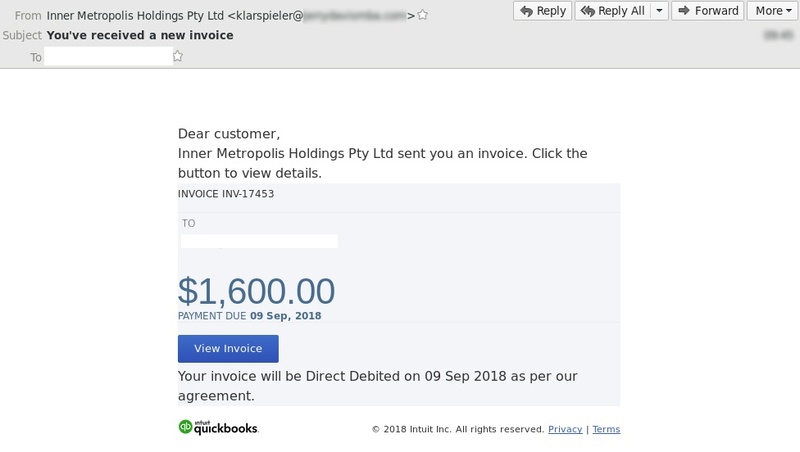 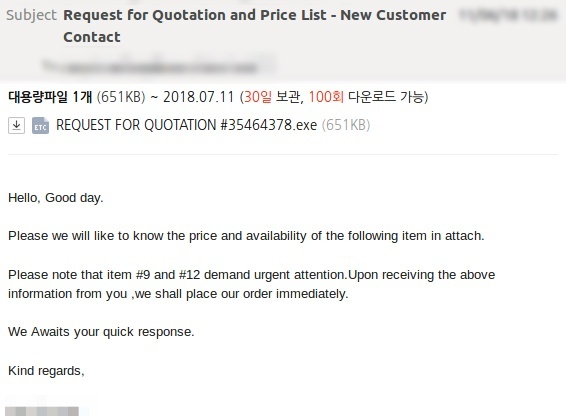 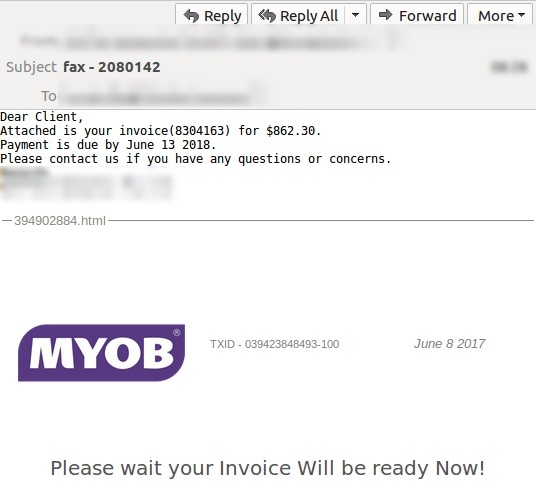 MailGuard has detected a new email-based cyber-attack (shown above) telling the recipient they have been sent an invoice by an accountant. 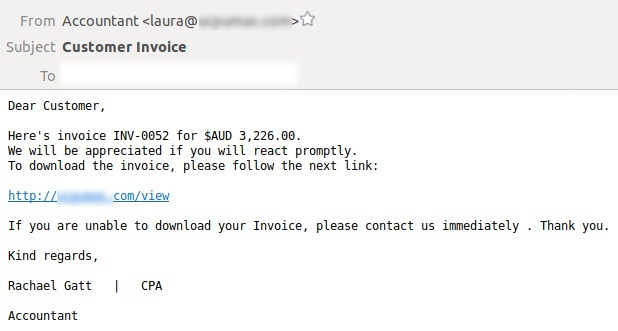 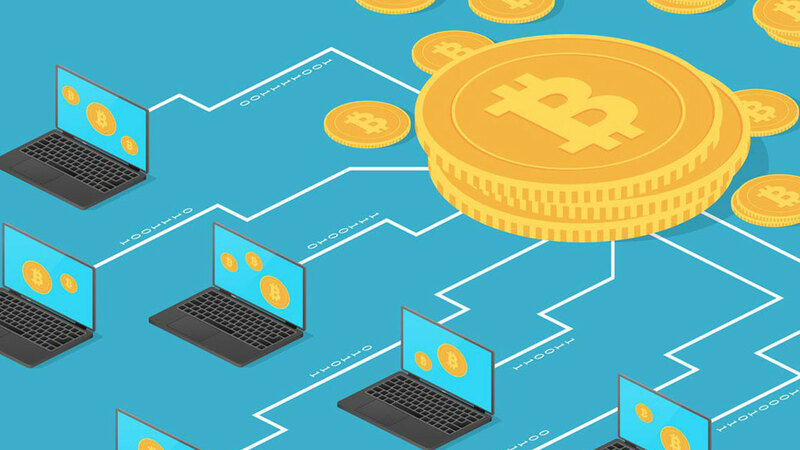 “React promptly to download the invoice,” the deceptive message advises. 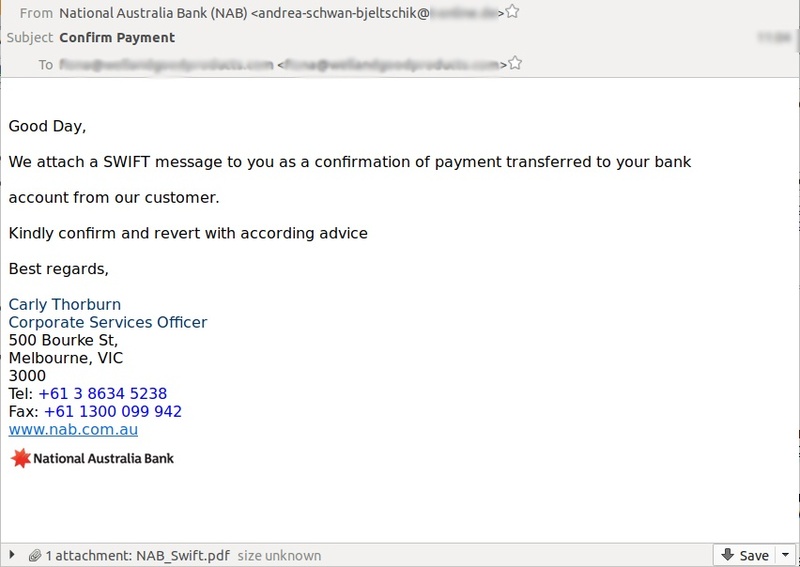 Clicking on the link takes the victim of this scam to a malicious website containing a hidden malware payload. 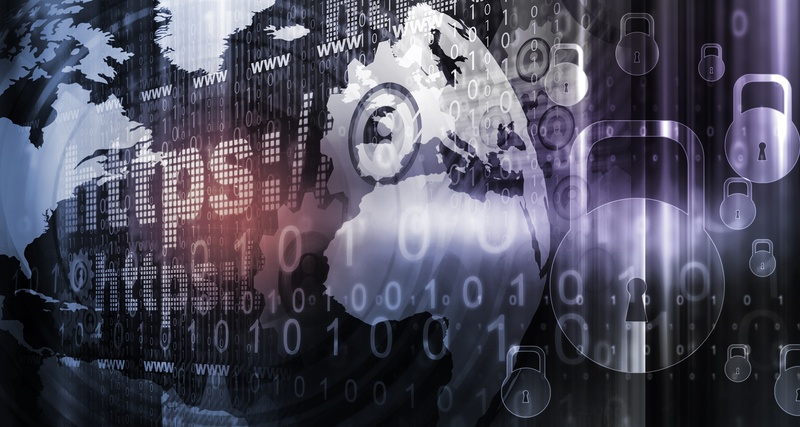 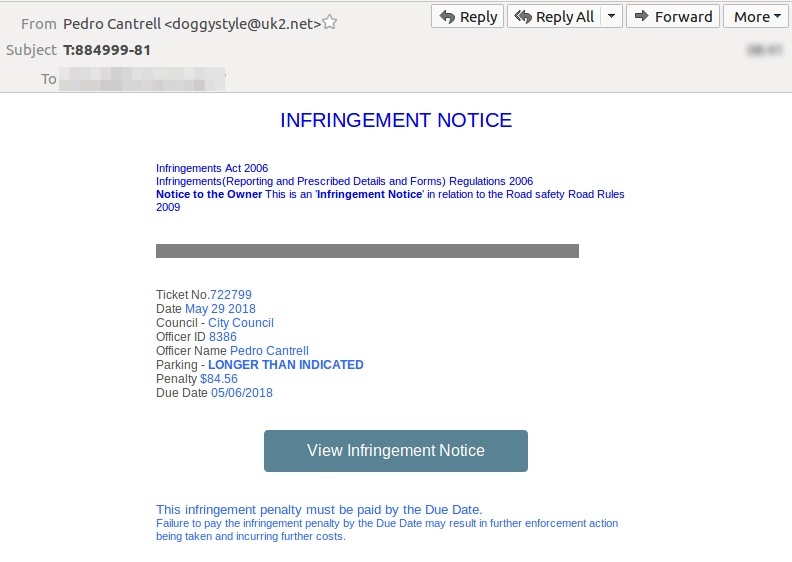 MailGuard has detected a new email scam that uses fake infringement notices to try and lure victims into clicking on malicious files. 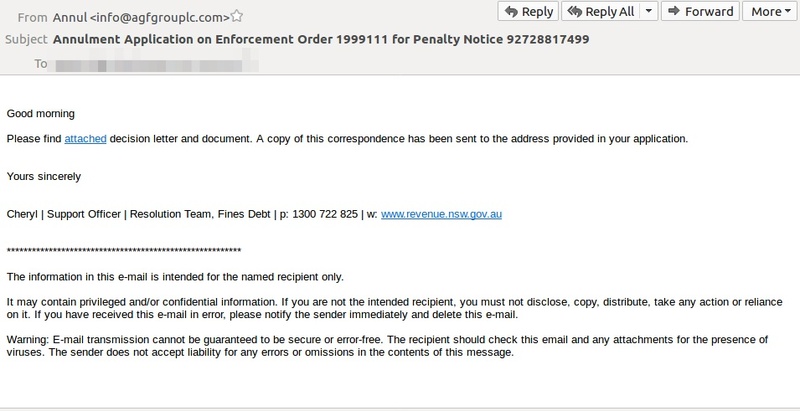 Threat alert: two new email scams targeting Telstra customers are hitting inboxes. 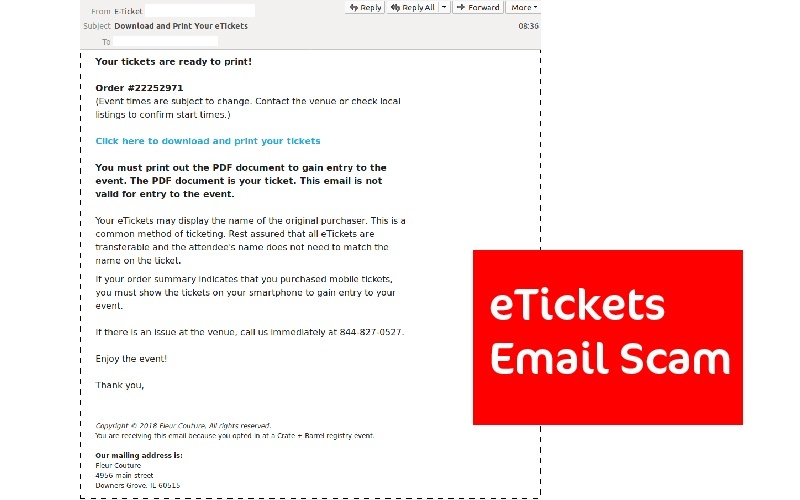 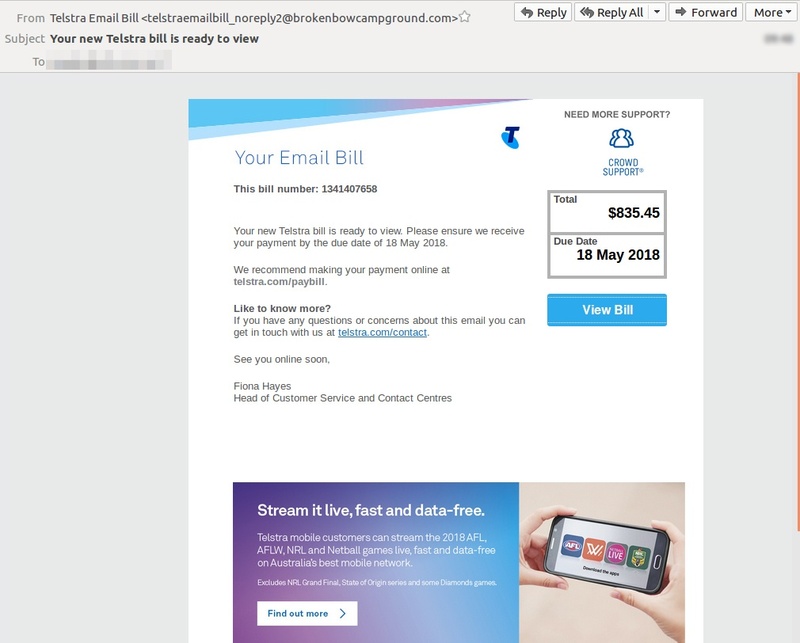 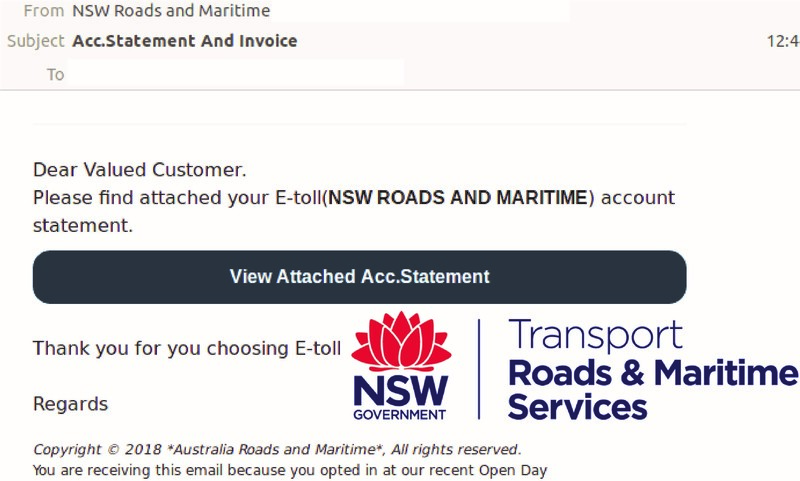 These well-designed email attacks both use fake Telstra bill notifications to trick victims into clicking on malicious links.